Today, a pet in a truck cab is nothing peculiar. We must have heard in the media of a driver who regularly or occasionally takes their dog or cat on a journey across Europe. First of all, it should be mentioned that the practice in question is legal, however, one must always observe certain legal regulations and use their common sense since such a fellow traveler entails a number of obligations. What conditions must be met when travelling with our four-legged friend? Due to our national fondness of dogs, this type of a pet can be most often seen in a cab. Depending on a place of destination, our friend must have relevant documents and be adequately prepared. Such preparations look different before travelling abroad and travelling within the country. First, our pet needs a passport. We may travel to European countries using our ID but a dog must have a passport. It is issued by an independent veterinarian. Additionally, our companion must have a transponder, more popularly known as a microchip. If a dog traveled abroad in the past, before 2011, it might have been marked with a tattoo. The option is still viable, however, the marking must be visible and we must hold a document which confirms that a tattoo was made and provides a date on which it happened. A dog must be vaccinated against rabies but not right before a trip. The first vaccination becomes valid only after 21 days and each consecutive one, after 24 hours. Therefore, our trip must be planned or a pet prepared in advance. How is a pet in a truck perceived in other countries? There is no ban on transporting a dog in a cab in the EU countries. Nevertheless, when planning our route we must keep in mind that a given state could have introduced its own laws and recommendations concerning the transport of animals. It is also worth checking which type of animals is covered by a given law because if we decide to travel with a non-regulated pet– it will be outside the law. The same applies if we want to travel outside the EU. Each country introduces its own regulations, hence it is necessary to get familiar with them much earlier and put them into practice. There are no legal provisions pertaining to non-commercial transport of animals, therefore we must seek all information in laws related to cargo. One of the regulations states explicitly that transported cargo must not in any way impede driving and must be properly secured. How should we read that? A dog may not disturb the driver and must be fastened in an appropriate way. In the case the police stops us and claims that the laws were violated, we may receive a ticket amounting to 20 – 500 PLN depending on a police officer. If, for any reason, the case is brought to court we are faced with a fine of 3000 PLN, or even a reprimand. In the case we violate the law our pet may be sent back to our country, placed in quarantine or put down. When making a decision about taking a pet on a journey, we must remember that this is a living animal and provide it with appropriate travel conditions. Therefore, we must make sure that there is water, a bowl and food prepared for our fellow traveler in a cab. Also, we must be prepared for such severe conditions as freezing cold or heat. A pet should not be left in a hot car on a hot day as it might lead to its death. The same applies during freezing weather conditions, especially in the case of small animals. When planning a trip with a companion, the drivers commonly decide to take along a dog. It is usually caused by loneliness on the road. We must remember to prepare ourselves for such a journey. 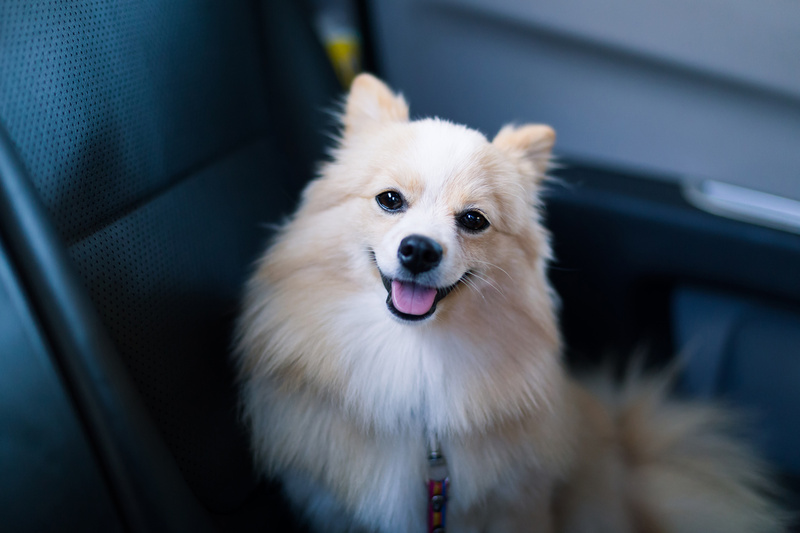 Despite the pressure of everyday tasks and a large number of documents, the most important thing is to accustom a dog to traveling and staying in a confined space so that it feels at ease when we decide to take it on the road.